Mt. Pinopoan popularly known as Mt. Pinupo among the locals is located in San Juan in San Roque, Libertad, Antique, Philippines. San Juan is a sitio in San Roque. 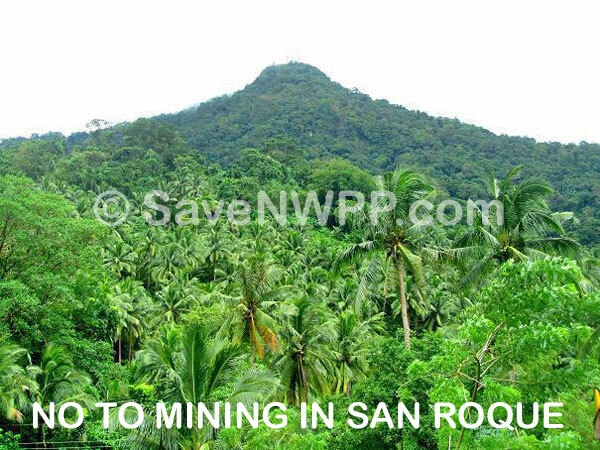 The planned mining site is located in San Juan in San Roque, Libertad, Antique, very near this mountain, the Mount Pinupo. A lot of coconut trees. Copra is one of the sources of livelihood in San Roque.